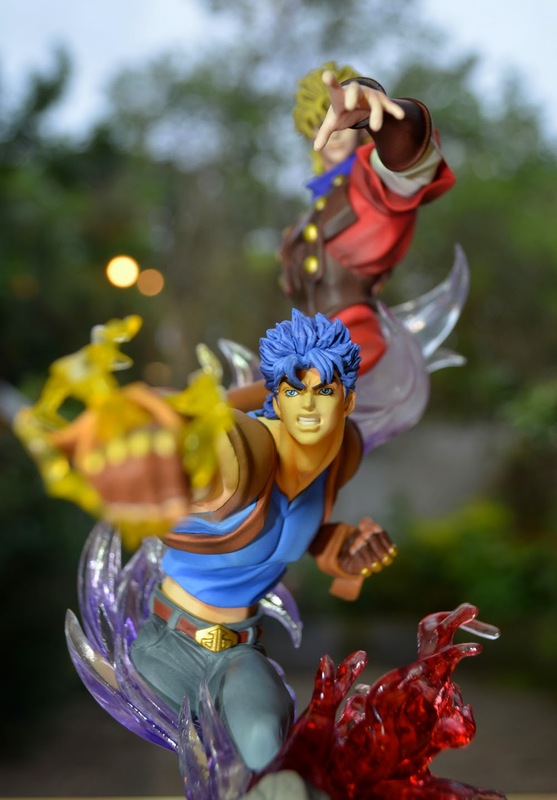 Just one delivery today, though it contained something I had been quite anxious about: my 'Chouzou Kakumei (Super Figure Revolution) Special Version Jonathan & Dio' figure from Medicos. 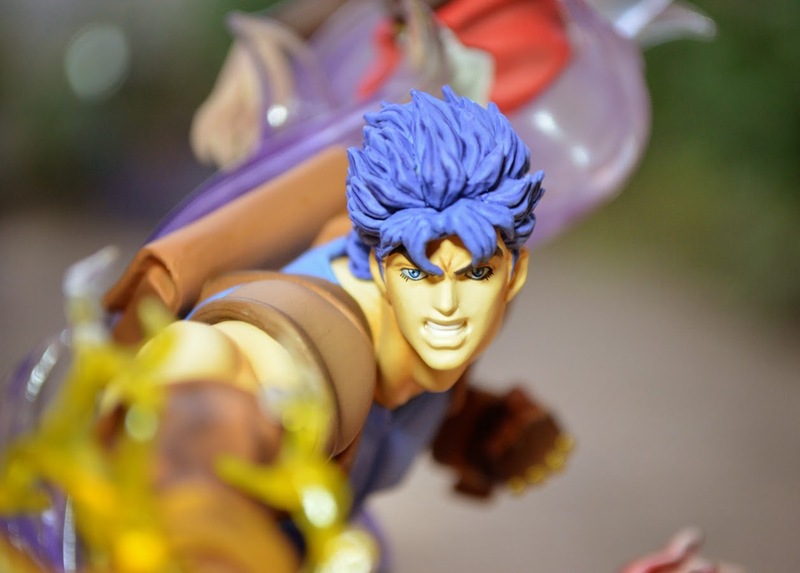 It was a special gift sent to fans who purchased all nine volumes of the recent JoJo's Bizarre Adventure anime adaptation and posted in their proof of purchase tokens before the tight deadline. It was a nerve-wracking process since I only had a few days between receiving the final volume by international post and sending the application form back to Japan. 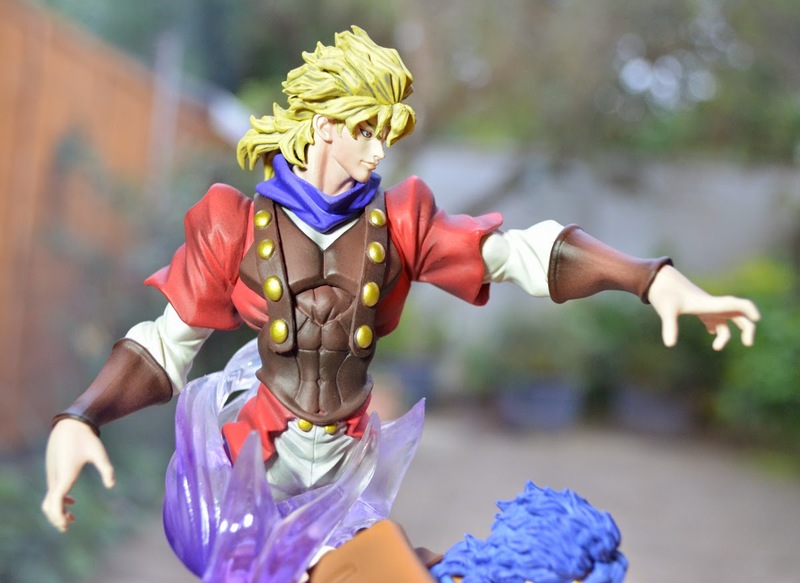 Anyway, the figure arrived safely in the end so my long-suffering partner took some photographs to commemorate the moment. I then threw away the box in triumph, instantly devaluing my figure forever. 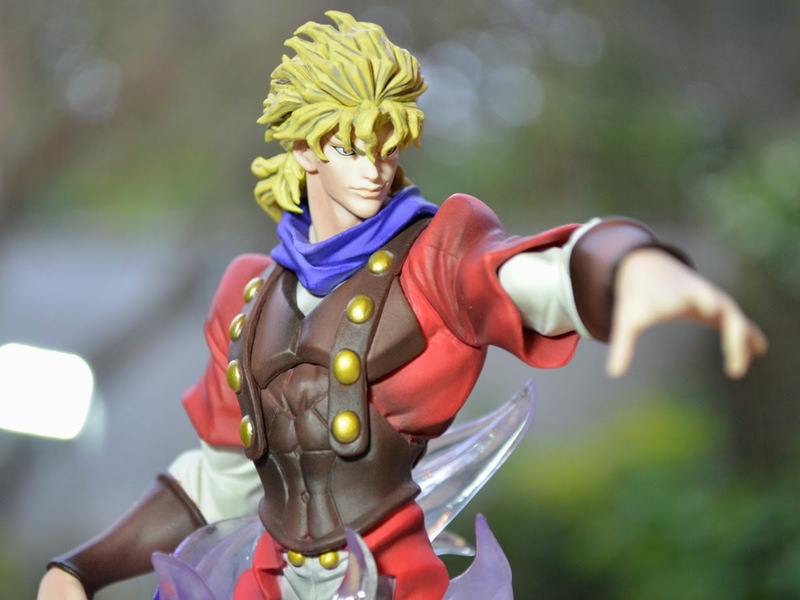 The photographer seemed fond of Dio, though he wasn't sure why he's posed as though he's JoJo's stand.